Bollywood came together to celebrate the industry's talent at 63rd Jio Filmfare Awards 2018, held on January 20, in Mumbai. Superstar Shah Rukh Khan and filmmaker Karan Johar hosted the event, which witnessed some amazing performances by stars like Akshay Kumar, Ranveer Singh, Ayushmann Khurrana, Parineeti Chopra and others. Sonam Kapoor, R Madhavan, Arjun Kapoor, Alia Bhatt, Shahid Kapoor, Saqib Saleem, Preity Zinta, Rekha, Jaya Bachchan, Madhuri Dixit, Kajol, Sunny Leone walked the red carpet. 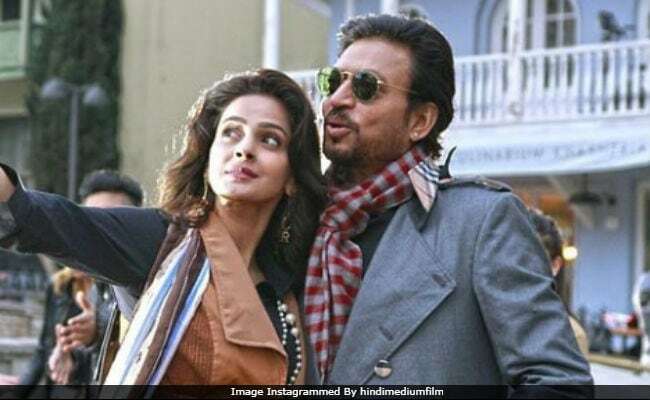 Irrfan Khan won the Best Actor in a Leading Role (Male) for Hindi Medium while the movie received the Best Film award. Vidya Balan won her sixth Filmfare award for playing a radio jockey in Tumhari Sulu.